Epidrual Steroid Injection Lawsuit Lawyers | Simmons and Fletcher, P.C. Epidural steroid injections (ESI), are a common outpatient surgical procedure prescribed for the treatment of chronic and/or severe neck or back pain that radiates to the extremities. A correctly-performed ESI done by a qualified medical provider can be extremely beneficial to the treatment of pain. 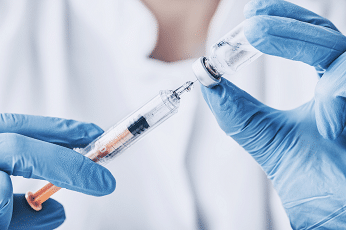 However, if administered incorrectly, an epidural steroid injection can leave patients with severe injuries including nerve damage and paralysis. If you or someone you love was injured after receiving one of these injections, call Simmons and Fletcher, P.C. at 1-800-298-0111 for a free case evaluation. Medical professionals have identified multiple short-term benefits associated with ESIs, including the ability to continue rehabilitative exercises. Just like any medical treatment or procedure, there are cases when an epidural steroid injection is administered negligently. Whether the doctor failed to consider a patient’s medical history or the injection was placed incorrectly, no one undergoing treatment for severe pain should have to deal with the mental and physical damage associated with this kind of medical malpractice. The Dura or dural sac a/k/a thecal sac is a thin sheath that surrounds the spinal cord. The dura contains cerebrospinal fluid (CSF). When the person performing the epidural steroid injection does not place the needle in the correct position, this can result in a dural sac puncture. Puncture of the dural sac allows spinal fluid to lead out. The importance of this is that the brain is floating on cerebrospinal fluid. When you create a CSF leak in the thecal sac, the fluid supporting the brain may be drained away, leaving the brain sitting on bone. This can result in severe headaches and ultimately lead to very serious conditions if not properly treated. Immediately consult an experienced medical professional if you suffer significant side effects after receiving an ESI. For more information on what to do if you feel you have been negligently injured following a medical procedure, contact Simmons and Fletcher, P.C., today. There are many questions victims of medical malpractice do not think to consider following an injury. By consulting an medical malpractice attorney, you can ensure you know your rights.